This is a skull of an adult Brown Pelican (Pelecanus occidentalis). 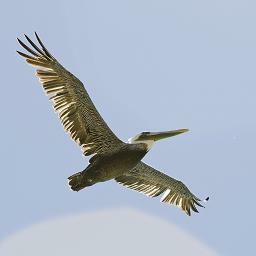 Brown Pelicans capture fish by plunging into the ocean from the air. A special gland housed in the skull allows Pelicans to get rid salt ingested during feeding.